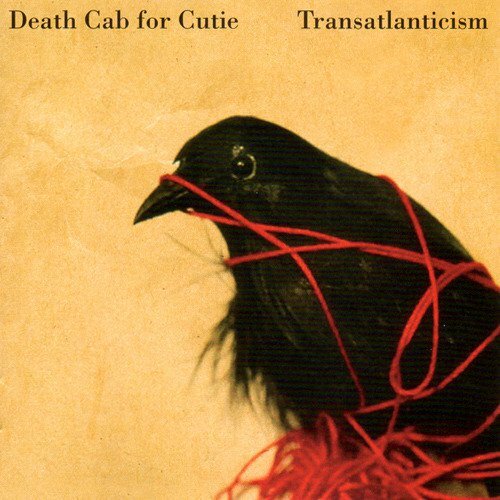 It’s been 15 years since Death Cab for Cutie released their fourth studio album, Transatlanticism. While you don’t really need me to tell you that this record still holds up, here I am to remind you that this masterpiece is more than worth its weight in gold. As a younger Death Cab fan, I usually get the, “I listened to them in high school” bit whenever I say they are one of my favorites. This has always appeared odd to me, as if the group didn’t just release their ninth studio album or as though their work didn’t age well. After the band broke mainstream in 2003/2004, with several career milestones (appearing on The OC, signing to Atlantic, Gibbard’s release of Give Up via the Postal Service), they became a new starlight for indie rock. While that era may strike older fans with nostalgia, it doesn’t necessarily mean that they should be left in time. What really sets Death Cab apart from other indie-rock bands is their distinct sound. They don’t mimic anyone or anything else. While they may have sonic influences, they are uniquely themselves. This seems to be reflected especially in ex-member and producer, Chris Walla’s work. Combined with frontman, Ben Gibbard’s unique songwriting style, the two have since become somewhat legends. They are effortlessly able to combine cutting-edge technology with classic techniques. Never has the band been a caricature of a particular time in music, they have always remained their own, allowing them to age like fine wine as the years go by. Album opener, “The New Year” is just one of the group’s many notable hits, and deservingly so. If this album was a book, “The New Year” would be a model example of the first chapter. Slowly building a wall of sound that hits listeners like a wave, the track prompts new beginnings. Gibbard has perfected a specific narrative style of songwriting that paints a perfect picture of the scene he is trying to set. You are able to place yourself directly into the song and form an intense and deeply profound relationship with it. While “The New Year” is indeed a staple to any hip downtown party as the ball drops at midnight, it also symbolizes much more. As the album progresses, Walla really highlights his unique production techniques. While there are many moments of instrumental simplicity, they are always layered in minuscule details that create a specific energy. This energy always reflects the story Gibbard is telling, perfectly exuding the emotion each track is trying to provoke. This is seen especially in tracks like, “Tiny Vessels”, “Transatlanticism”, and “Passenger Seat”. They are gentle reflections of vivid and passionate scenes, paired delicately with purposefully drum fills and poignant piano. There are so many unique layers in each track that it is almost impossible to pick apart each, but they all serve a very important purpose. Transatlanticism has been the anthem to many heartbreaks, first love’s, and so much more for good reason. While some artist’s wrap their work into complex storylines and metaphors, Gibbard doesn’t do this. He takes everyday objects and experiences, and unravels them in ways that the average person can connect to. Whether it be noting that “the glove compartment is inaccurately named” or the feeling of “breathing in the strong scent of evergreen from the passenger seat” as your love is driving you home, he invites you into each track. What makes an album timeless is our ability to age with it. We continue to have experiences that make each song relatable in new ways we never thought of before. Different lyrics hit home and others grow with us like an old friend. Whether you’re 15, just discovering new music, 25 and dealing with the tribulations of a long distance relationship, or 50 and healing a broken marriage, this album offers something for you. Transatlanticism offers solace to old and new fans alike because it never gives away it’s age, and it always offers comfort and support, regardless of how many times you’ve listened to it. While I could go on why each track does this in its own unique way, I think it’s safe to say that everyone will have their own reasons as to why this album has been so influential. Whether it’s your favorite Death Cab release or not, it’s no stretch to say it is an extremely important one.